Call 888-820-2270 for your nearest Dealer and Special Pricing. 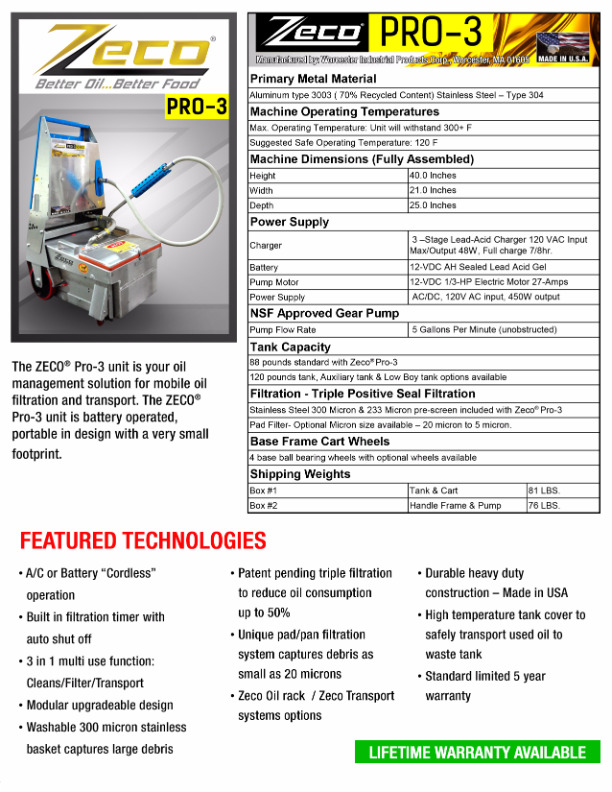 The ZECO® Pro 3 unit is your oil management solution for mobile oil filtration and transport. 3-In-1 modular design allows you to clean your fryers, filter your oil and safely transport expired oil all while reducing your oil consumption by up to 50% or more. 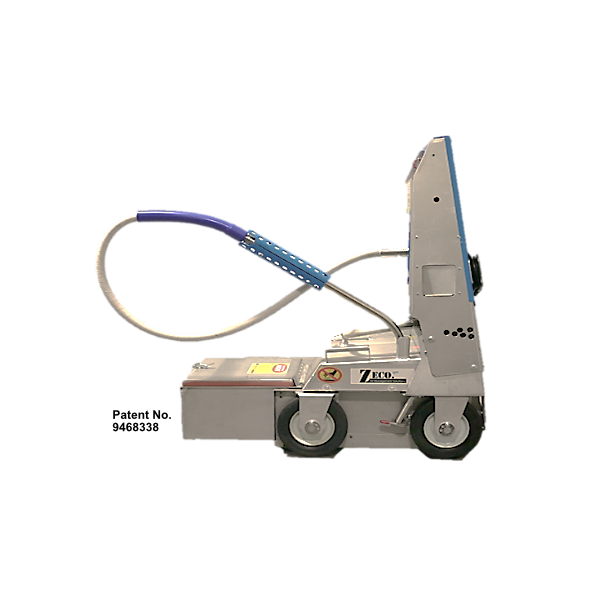 The ZECO® Pro 3 unit is A/C-D/C Power Design or Battery Cordless Operation. A washable 300 micron stainless steel filter basket captures large debris, while a unique pad pan filtration system captures debris as small as 5 microns. 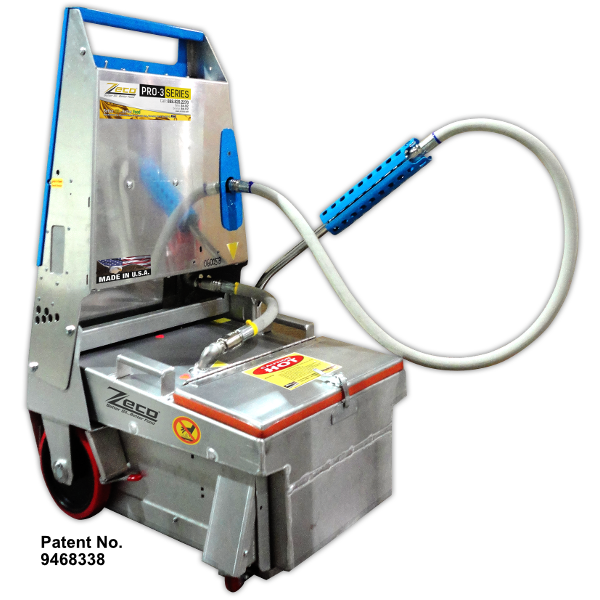 It’s modular design also allows the Zeco Pro-3 to ntegrate with other Bulk oil systems. Standard Limited Lifetime warranty. Triple Onboard Filtration captures food particles as small as 0.50 microns. 100 + Filter combinations to fit any menu. Total off the grid Solar charging option. Unique wand design to wash out food particles .